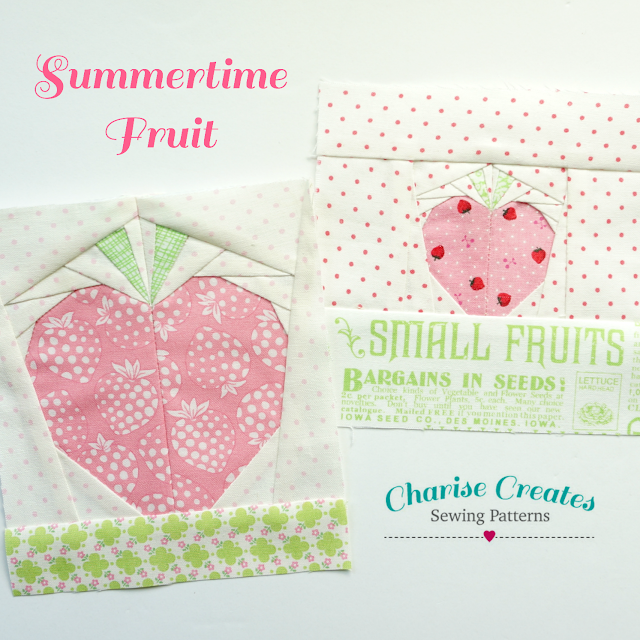 Charise Creates: Summertime Fruit ~ a new paper piecing pattern! 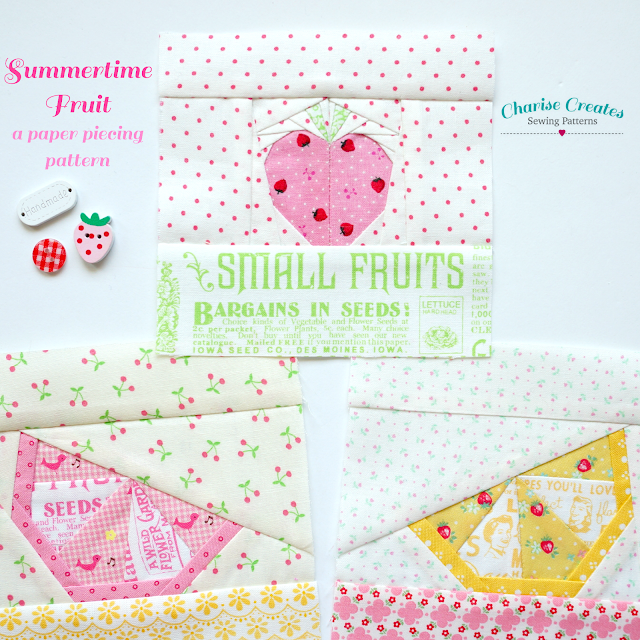 Summertime Fruit ~ a new paper piecing pattern! Hello and Happy Friday the 13th! I found this cute lemon slice when I was cleaning out my sewing studio. 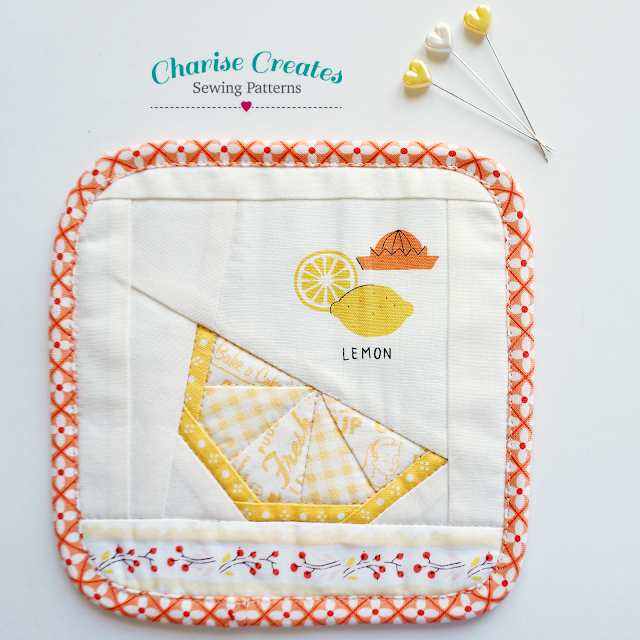 The lemon is part of my Jam Jars and Fruit Pattern but it is such a cute stand alone pattern! Sometimes it is fun to refresh a pattern that was released years ago! The pattern include two sizes for the citrus slice - 3" x 3 3/4"
and a much larger one that measures 6" x 7 1/2". 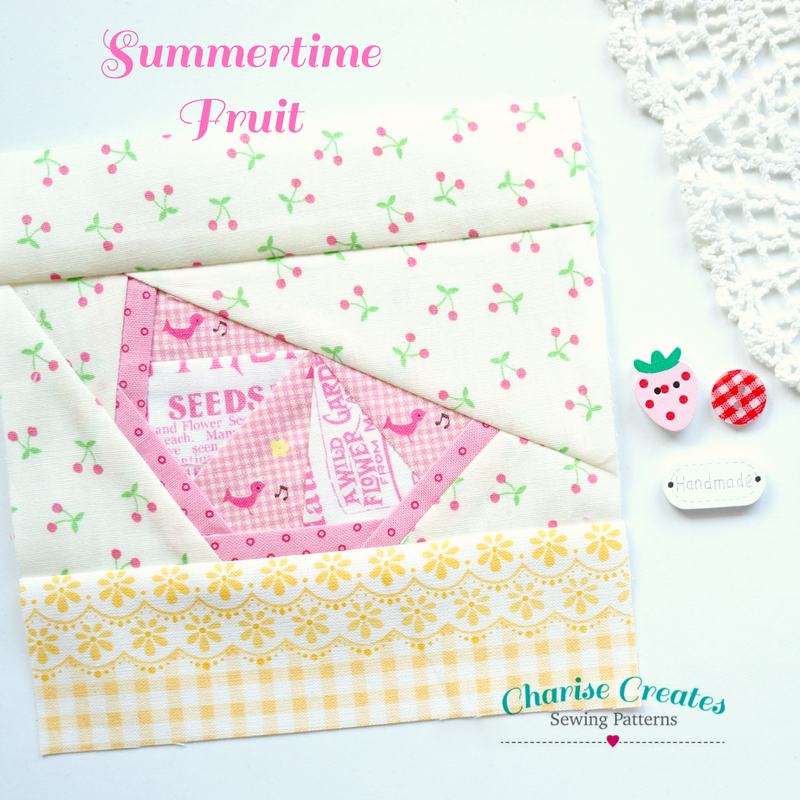 The pattern includes a strawberry which comes in three sizes - 2 1/2" square, 4 1/2" square and 8" square, all charm pack and layer cake friendly! I'm thinking the 8" strawberry will become a pillow and maybe even a quilt for myself. 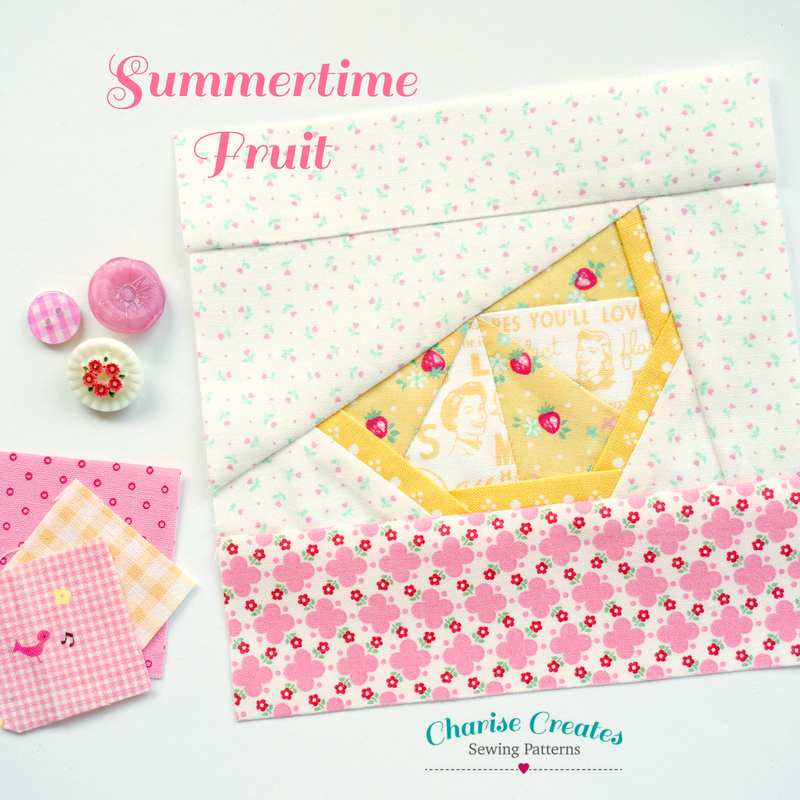 The lemon is such a fun pattern for fussy cutting! 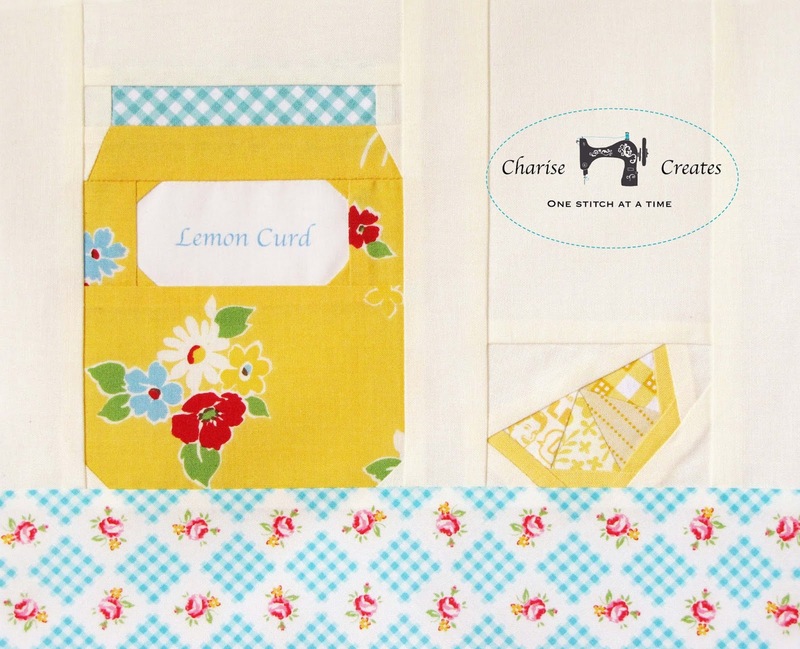 Those "sassy lemon ladies" are pretty darn cute. The fabric is from Lake House and has some really cute motifs. You can find the pattern in my Etsy shop.